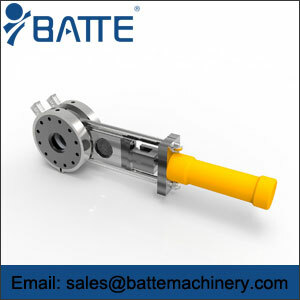 Batte ZB-R type continuous screen changer : without interrupting normal production can change the filter , to no leakage of material , no rupture , continuous filament . 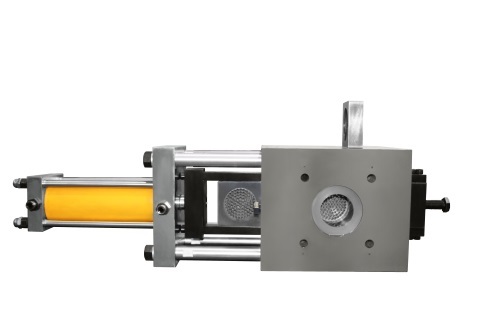 And with a melt pressure measuring system , you can intuitively understand the state and the extruder filter clogging degree and light alarm sound at the exchange outlets , so changer more scientific and accurate. Cast aluminum with a high-energy heating system and a full set of electrical control systems. Changer main body parts , purification by superhard materials , high strength , thermal deformation , wear resistance, long life. 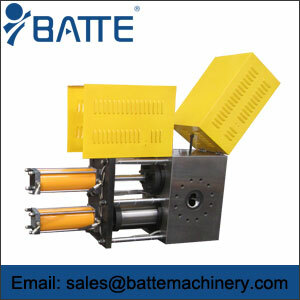 Batte B-R type continuous screen changer has all the basic performance , there is no electrical control main cabinet . 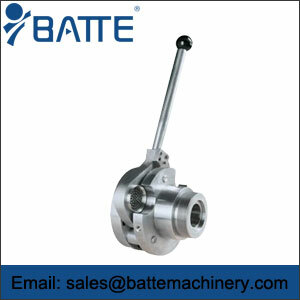 Batte B-R type continuous screen changer , based on increased power control section , manual operation. 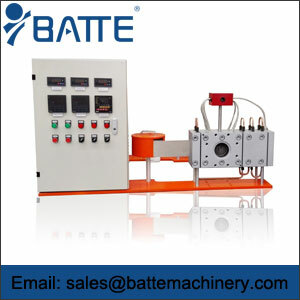 Batte B-R type continuous screen changer on the increase in material flow , material pressure monitoring system, and automatic alarm , semi-automatic changer . Equipped with the unit : SJ45-SJ150 various models (including the double -screw ) plastic , chemical fiber extruder. For raw materials : PE, PP, PS, DET, nylon , PVC , etc.